I hear is often in my massage office. Breech babies can cause us a lot of stress. They throw a wrench in the best laid plans, and some of them can be quite stubborn and refuse to turn. The usual course of action for a breech baby is a scheduled cesarean. While this isn’t the end of the world, most people would like to avoid surgery if possible. So here is the complete guide on all the ways that people have tried to get a baby to flip head down. From practical to spiritual, I’ve gathered all the ways I’ve heard of over the years of being a massage therapist and doula. So don’t give up as soon as you hear the words breech- there are still lots of ways to encourage optimal fetal positioning. Some people get upset that their baby isn’t head down yet, or is breech on their ultrasounds. It’s important to remember that many babies will turn head down by 30 weeks, and most will be head down by 34 weeks. In my practice I’ve known of babies to turn from breech as late as 40 weeks, and though that isn’t common, it reminds us that we can still keep encouraging babies to turn even leading up to a scheduled cesarean. All of these techniques listed do not actually involve physically trying to move the baby. Instead, these techniques encourage a baby to turn by using various stretches and loosening muscles and structures around the baby so that baby has more room. NEVER attempt to physically move or turn your baby by manipulating your baby’s body; this is known as an external version. External versions are performed in the hospital under the supervision of a trained doctor because they can have a risk of placenta rupture, fetal distress, and cord entanglement. While this risk is small, doctors can monitor both mother and baby in a medical setting. Do not try to encourage a baby to flip until you’ve confirmed that your baby is breech. When babies are head down we want them to stay that way! With that being said, check out these techniques. Each pregnant belly is unique. The uterus is held in place by several ligaments and muscular structures. When we have tightness in these structures it can restrict the uterus and the natural motion the uterus should have. One example could be that on one side the abdominal muscles are very tight, and there is pain in the round ligament on that side. This can cause the uterus to be slightly tilted, and pull on the structures of the opposite side. As a result we might have a baby that leans more on one side or likes to stay in one position. By loosening these structures it can help encourage optimal fetal positioning for birth. In my practice, I work with moms to help loosen the soft tissues that surround baby, as well as balance out any misalignment issues in the pelvis that could contribute to the baby being in the breech position. This involves assessing and working on muscles in the low back, hips, and stomach. Not only am I looking to see what muscles are holding tension, I’m also assessing for any pelvic torsions, spinal dysfunctions, as well as assessing how the uterus is sitting. I also take into account the impact that the pelvic floor has in supporting these structures. For instance, in a first time mom we may be working on loosening the muscles under her ribs to allow more breathing room and comfort because her baby sits higher up. In a mom who has had multiple pregnancies we may be working on decreasing pelvic floor pain in conjunction with a pelvic physiotherapist, and supporting the belly through athletic taping. With a breech baby we are working to make sure all structures around the baby are equal and supple to allow room for baby to turn head down if they can. It’s important that the massage therapist you choose has experience in pregnancy massage. If you have a baby that is breech, you definitely want to work with someone who isn’t afraid to work on your tummy to help loosen up any tight muscles or structures that could be restricting your baby’s room to move. A regular back massage won’t assess these structures or be as impactful as working with an experienced practitioner. At the end of the treatment, I often give moms home care exercises and stretches from Spinning Babies (See below) to help them encourage optimal fetal positioning at home. In Kingston and interested in booking with me? Visit our homepage to book online. A common misconception about chiropractic care is that pregnant women can’t receive adjustments while they are expecting. This is completely untrue! Many women who deal with sciatica or low back pain can benefit greatly from regular chiropractic appointments through out their pregnancy. When your baby is breech, chiropractic care is a great way to help realign the bony structures around your pelvis to encourage your baby to be head down. It’s also a great idea to receive chiropractic care throughout your whole pregnancy as a way to help avoid breech and posterior (sunny side up) babies. Look for a chiropractic doctor that has training in Webster’s technique. This technique requires additional training and specializes in pregnancy; so not every chiropractor you see will practice it. It involves balancing the bony structures of the low back and pelvis to help create the most space for your baby to engage and travel down the birth canal as they are being born. They also work on releasing any tight ligaments around the uterus. These techniques are gentle and safe for both you and your baby. Massage therapy, chiropractic care, and spinning babies are my go to techniques to recommend helping a breech baby turn head down. When combined together they are even more effective. Looking for a chiropractic doctor that practices Webster’s technique in Kingston? Check out Forever Young Chiropractic! Moxibustion and acupuncture are both modalities used by traditional Chinese medicine practitioners. They are two different techniques, but may be used in combination with each other. Let’s look at moxibustion first. Moxibustion is techniques where traditional medicine practitioners burn mugwort and place it near certain meridian points in the body. They may use special moxibustion sticks and place the burning mugwort close to the skin to warm it, or burn mugwort on the end of an acupuncture needle. When used in the case of a breech baby, the moxibustion is usually applied to specific points on the feet. Acupuncture is the use of very fine needles to target certain meridian points on the body. These needles are actually even smaller than a vaccination needle, and often once they are applied aren’t noticeable. Acupuncture uses meridian points in the body to reflexively help different organ systems and to direct a persons flow of Chi, which is the traditional term for energy or life force. In terms of helping a breech baby to turn, some women have found that the combination of moxibustion and acupuncture successful. Be sure to work with a practitioner who is experienced in pregnancy. I remember laughing outloud when I heard this technique, thinking it must be a joke. It turns out is wasn’t! Quite a few women have used this combination successfully. Why might it work? The theory is that when you apply an ice pack against your belly long enough, your baby will feel the cold and get uncomfortable and try to move. When all else fails its worth a try! There is something to be said about releasing fears or at least addressing them during your pregnancy. We know that ideally relaxation can help women go into labour, and that the fight or flight instinct can slow and impede labours progress. So being in a state of fear or extreme stress can in theory impact your labour or even pregnancy. Energy workers take this one step further and believe that there is an energetic link between you and your baby. A baby presenting in the breech position may be a result of feeling the mother’s fear or energetic blocks, or could even be the baby trying to communicate with their mom that something is going on energetically. There are several ways to bring energy work into your pregnancy. 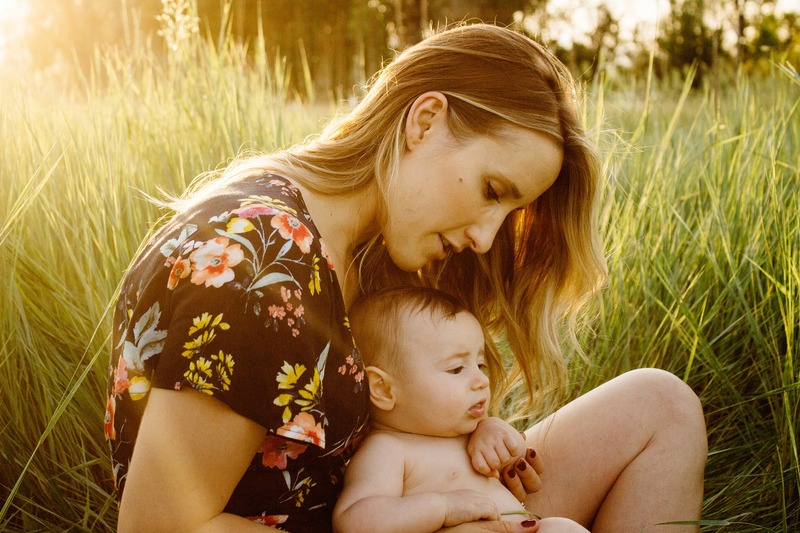 Even if it doesn’t result in a breech baby turning head down, most people receiving energy work feel benefits such as feeling more relaxed, less fearful, and less anxiety and stress. What is energy work? Reiki can be done in pregnancy, meditation and mantras/affirmations can be used, as well as traditional energetic healing practices that may be in your culture. Hypnobirthing and hypnobabies are two methods that use hypnotherapy to help decrease pain in labour and also address fears. Some people have had powerful experiences through the use of energy work, and accredit their positive experiences to it. Baby still not turning? Sometimes despite the best of efforts babies stay put. Check out the following three options for babies who are breech. Often your care provider will offer to do an external version for your baby between 36 and 37 weeks. This is when your doctor will physically attempt to move your baby into a head down position. This technique has been around for a very long time, however does come with some risk. Because this technique is moving the baby, there is a slight chance of fetal distress, cord entanglement, or placental rupture. During the process you and your baby will be monitored closely to decrease these risks. It can be very uncomfortable, but once head down many babies stay that way and are successfully delivered vaginally. Some women are not good candidates for an external version. To learn more about statistics and risks regarding ECVs, check out the website Evidence Based Birth at http://evidencebasedbirth.com . Depending on your care provider, their experience and policies, and the type of breech position your baby is in, a vaginal breech birth may be possible for you. There is a lot of fear around breech birth; this is because there are some unique risks that come with vaginal birth. It’s important to remember to weigh these against the statistics of babies born in the head down position, as well as the risks of cesarean birth in order to get an accurate picture of where you stand. Each pregnancy is unique, so one person may be a good candidate for a breech birth while another may have additional risk factors that rule out vaginal breech birth. This can also help you determine how you feel about a vaginal breech birth. Not so long ago, breech birth was considered a variation of normal delivery and most care providers had experience in delivering breech babies. So if you are comfortable with delivering a breech baby vaginally, make sure to choose a care provider who is confident and experienced in this option. Alas, your baby didn’t turn, and vaginal breech birth isn’t an option for you. This can be frustrating for many people, especially if they were planning a different birthing outcome. Remember to take some time for yourself leading up to the birth to process this turn of events. For some, a cesarean birth is no big deal, but for others it can be very disappointing and frustrating. Honour your feelings and know that you aren’t alone in feeling this way. Reach out to others that have had cesarean births. Talk to your care provider to see if there are any things that you can do to make the surgery a better experience for you. Some ideas are taking photos, playing music, having your partner or support person in the room, having the curtain lowered to see your baby being born, and doing skin to skin after your baby is born. There will always be some babies who need to be born through a cesarean. One of my doula training teachers told me something that I still believe to this day; ‘Babies know how they need to be born.’ We may never know why some babies like to be in a breech position and refuse to turn. I like to believe that whatever the reason, it is a good one, and that cesarean birth is their best option. I hope that this guide has been helpful to you, and wish you the best birth possible, no matter the circumstance! Alyssa Green is a Registered Massage Therapist, doula, wellness coach, and Co-Owner of More to Life Massage Therapy. She is passionate about treating the pelvis and low back, as well as experienced in pregnancy and postpartum massage. She loves helping others learn more about themselves, especially when it comes to the reproductive system. She lives in Kingston, Ontario, with her husband and dog. Next Post Is Your Nervous System Stuck In Stress Mode?